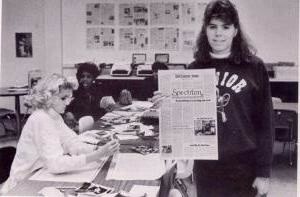 In St. Louis, Missouri students in a journalism class were responsible for writing the schools newspaper, The Spectrum. There were six pages of the newspaper and usually 4,500 copies are printed and distributed to the members of the community. In May 1983, there were two articles written. One described the pregnancy of three girls at the school and included specific sexual content. The other was about the effects divorce has on students. The divorce article talked about a girl who blamed her father's actions for her parents divorce. The principal believed the two articles were inappropriate. The students didn't get the consent of the father to publish the story and he thought that the father should be able to state his side of the story as well. He also believed that people would still know who the pregnant girls were even though their names were kept anonymous. There was not enough time to fix the articles, so the principal had them removed the two pages all together. The students decided to file a lawsuit against the school because they felt their first amendments rights had been violated. 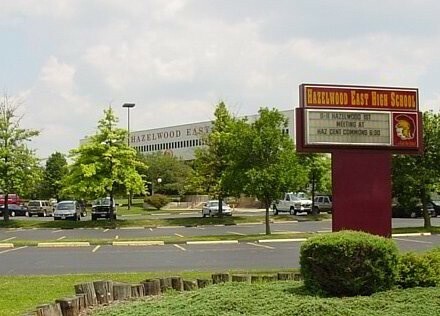 January 13, 1988 the surprise court had made a decision of 5-3 in favor of Hazelwood High School. They agreed that the principal had the right to censor the articles. The school administration had the right to control the style and content of student speech when it is included in the school’s expressive activities. While the Hazelwood decision changed the free speech balance, courts since Hazelwood have made it clear the case has important limitations. School officials do not have an unlimited license to censor and all students retain significant First Amendment protections. This case had a major impact on the tinker case decision. "Hazelwood v. Kuhlmeier Podcast." USCOURTSGOV RSS. N.p., n.d. Web. 23 Sept. 2014. College of Law. 22 September 2014. "Guide to Hazelwood School District v. Kuhlmeier." Splc. N.p., n.d. Web. 22 Sept. 2014.